Here is the interview I did with Museums and Heritage about public seating. 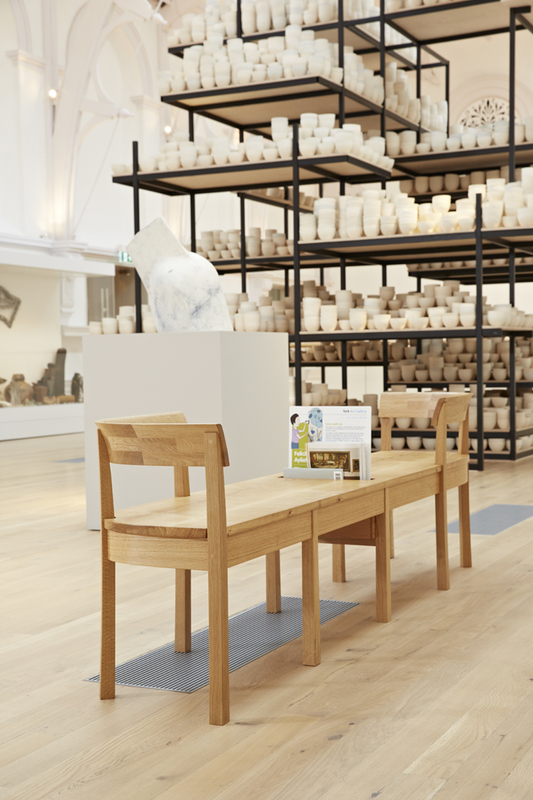 What are the key things you need to take into consideration when designing furniture for museums and galleries? There are many different aspects to designing gallery furniture. You have to start with the client’s brief and make sure you understand all of their requirements. The piece should fit the space not only physically but aesthetically as well. The furniture will receive heavy traffic over many years so this means making sure that not only the construction but the nature of the design details are up to the task. It is also important to understand and address the accessibility guidelines. 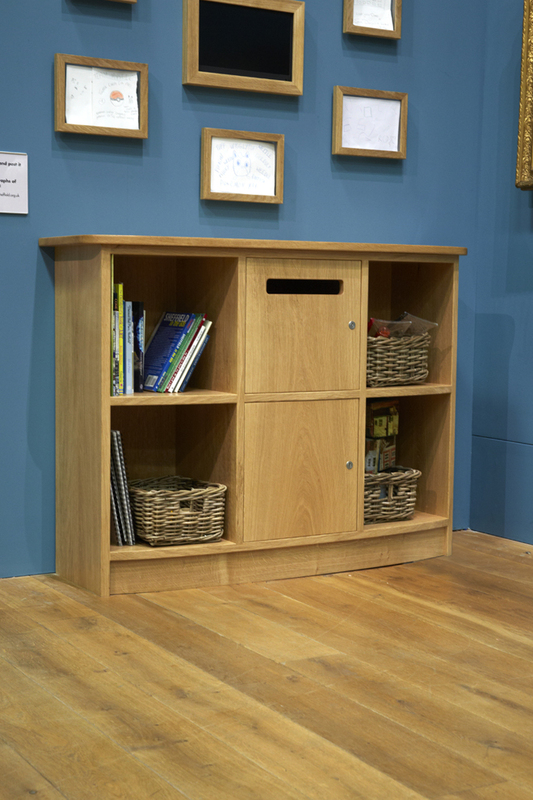 What are you hoping to achieve with each item of furniture you design and manufacture? I think there is a really important balance a piece of furniture should achieve. It should fit the space so it feels part of the room, not drawing too much attention to itself whilst at the same time being of a high level of design and detail. I use the example of good theatre scenery – it is there to support the story in such a way you do not question it. The furniture should be beautifully designed and made but not obvious, trying neither to be too clever nor visually incongruous. I always keep in mind that the primary reason people are visiting the gallery or museum is to see the exhibits. The rest of the interior and display scheme are there to promote that activity and create the right atmosphere. What kinds of furniture have you designed for museums and galleries? I have primarily worked designing and making seating but as time has gone by I have been asked to create other pieces as well. I recently completed a suite of pieces for permanent ‘Picturing Sheffield’ exhibition in Weston Park museum, Sheffield. I had already made benches and they wanted the other pieces to fit in. It is a beautiful Victorian building and having pieces that were contemporary yet referenced the quality and style of the architecture were key to their success. How can furniture benefit the visitor experience? I think the atmosphere created by the gallery itself is paramount to the visitor experience. It sets the expectations and can also affect how people behave and respond to the exhibits. The furniture is an integral part of that and in some cases the seating is the only interior fitting which visitors will physically engage with. It’s important to get it right to encourage people to linger and enjoy their visit. 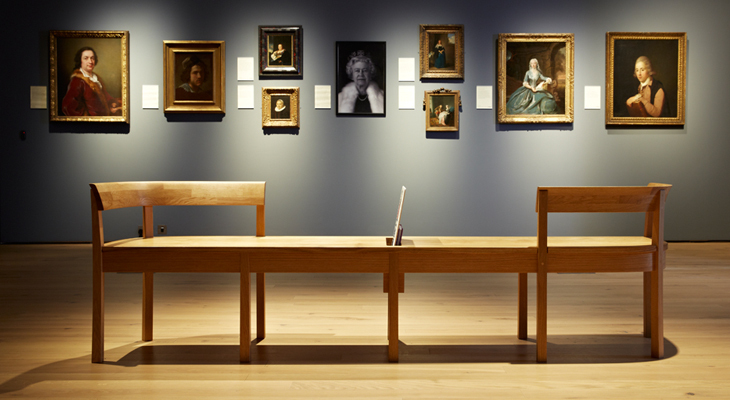 How do museums and galleries differ when it comes to their furniture needs? Each project is different as each museum and art gallery is different, not only in terms of the buildings they occupy but also the types of work or objects they display. When designing and making pieces, I make sure that those variations are understood and addressed. How do they differ from non-public-facing organisations or businesses? When creating pieces for an individual, I am working solely for them. I think the main thing public facing bodies have in common is the feeling of working on a collaboration. You work with the curator or project manager to create a piece for the gallery and its visitors. It is more like been part of a team and the finished project is bigger than just the part I am creating. What are he advantages for museums and galleries of commissioning bespoke furniture from Christian O’Reilly? There are many advantages. You will get a piece designed for your space to meet your needs. For example, when designing the benches for York Art Gallery I drew on architecture cues not just from the museum building itself but from the building and shapes in the town. I try to create something that just feels right. You get better value for money. The work is made in my North Cornish workshop so there are no middle men needing to make a mark up. You get regular updates of work in progress so the story of the pieces and their construction become part of the heritage of the museum or gallery. I handle not only the design but the making so you get cabinet maker quality in both respects. What materials and methods are used to make your furniture? We have a workshop policy of only using timber that is either FSC or equivalent from the UK or Europe. Other materials are sourced with the same set of principles in mind, for example we buy our leather from Andrew Muirhead, who produce and process all of their products in the UK. Other materials such as metalwork and powder coating are fabricated by local businesses with which have built strong working relationships. Why have these been chosen and how successful have they been? The materials are chosen for both their quality and sustainability. We have spent many years working with timber yards to ensure we get the best quality stock we can. Hardwoods such as oak are exceptionally hard wearing but, more importantly, age really well. The longevity of our work is one of the most important aspects. I build pieces not for just the next five to ten years but, with the right care, to last for decades. We recommend using a repairable finish which, although not as tough as a sprayed lacquer, has the huge advantage of been easily re-applied and maintained. Is the material you use sustainably sourced? Sustainability has always played a big role in the company. We only use UK or European FSC or equivalent timber. We use green electricity, our wood dust goes to an animal sanctuary to be used as bedding and our offcuts are used to help heat our home. 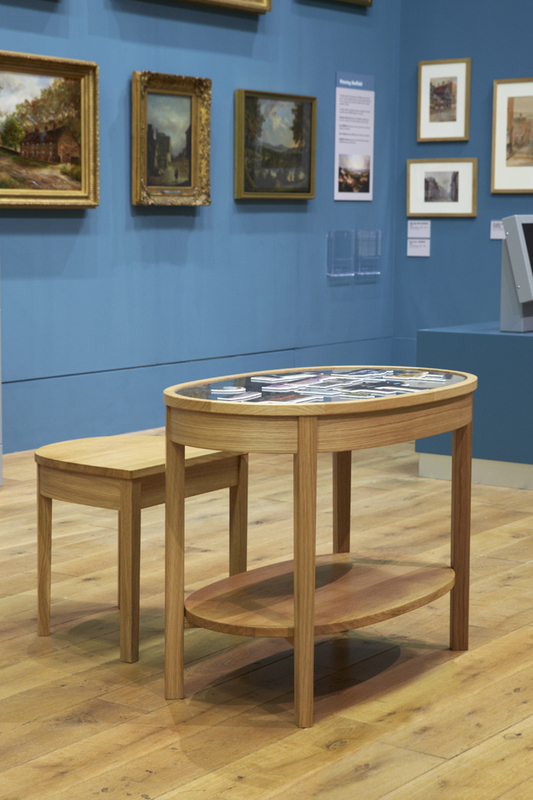 What are the challenges faced when designing furniture for museums and galleries? Normally the first part of the project is the most complicated. Making sure the brief is not only met but also working as a consultant and asking lots of questions, which may not have been considered yet. Once this has been achieved, it is my job to find that balance between the aesthetic requirements and the practical needs. This can be a challenge but it is also the part I really relish. Posted February 1st, 2017 in Blog, News.